Disponible las 24h durante los 365 días del año. 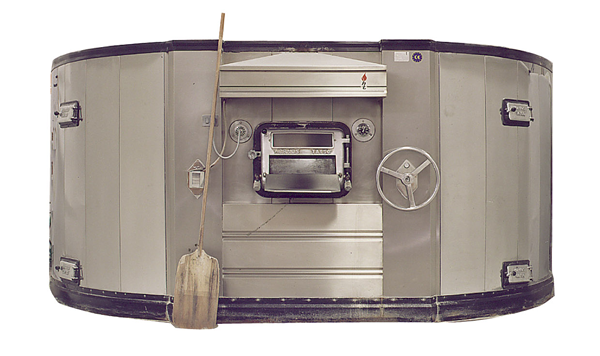 Ovens overcome what may be the one disadvantage inherent in steam-tube designs: a single temperature throughout the oven. 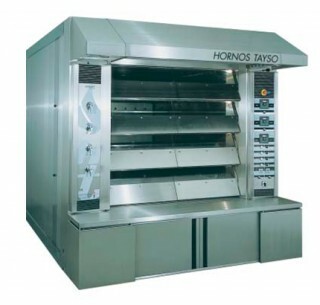 By using an exclusive heat transmission system, the temperature at both the top and bottom on each deck is independently controlled, making it easily adaptable to any kind of bakery and pastry production. 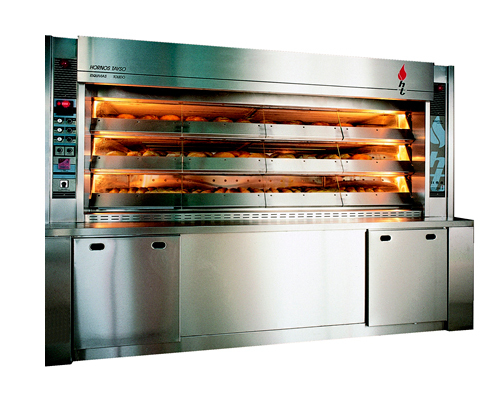 DUALHIT is not only an innovated product because of the bottom and top heat regulation but another exclusive system to control gas from combustion, the CGC system, which ensures a perfect even baking on the oven depth. The interior lighting system works independently on each deck, and the control panels are also illuminated for ease of use. The high capacity steamers are also independent for each deck, and can be driven manually or by a timer via the control panel. For greater convenience, the oven also has manual levers on the side opposite the control panel. 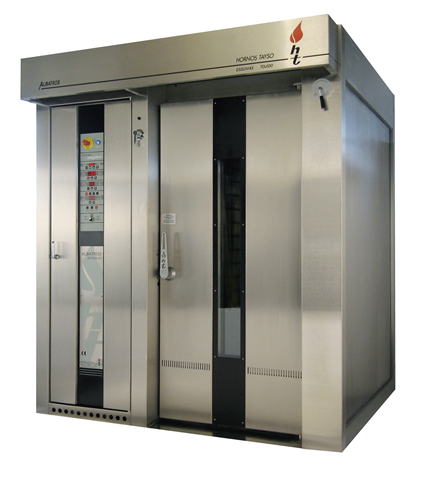 The DUALHIT oven has been designed so that all service and maintenance can be performed from the front of the oven, via a safe and secure manual access door, making installation against a wall possible for maximum space saving. El presente Aviso Legal informa de las Condiciones Generales que rigen la navegación por el sitio web www.tayso.com. El mero acceso al presente sitio web implica el conocimiento y la aceptación de dichas Condiciones Generales. En Hornos Tayso, SL nos tomamos muy en serio el tratamiento de los datos de carácter personal que nos facilite. Hornos Tayso, SL no registra ningún dato de carácter personal en ningún fichero.